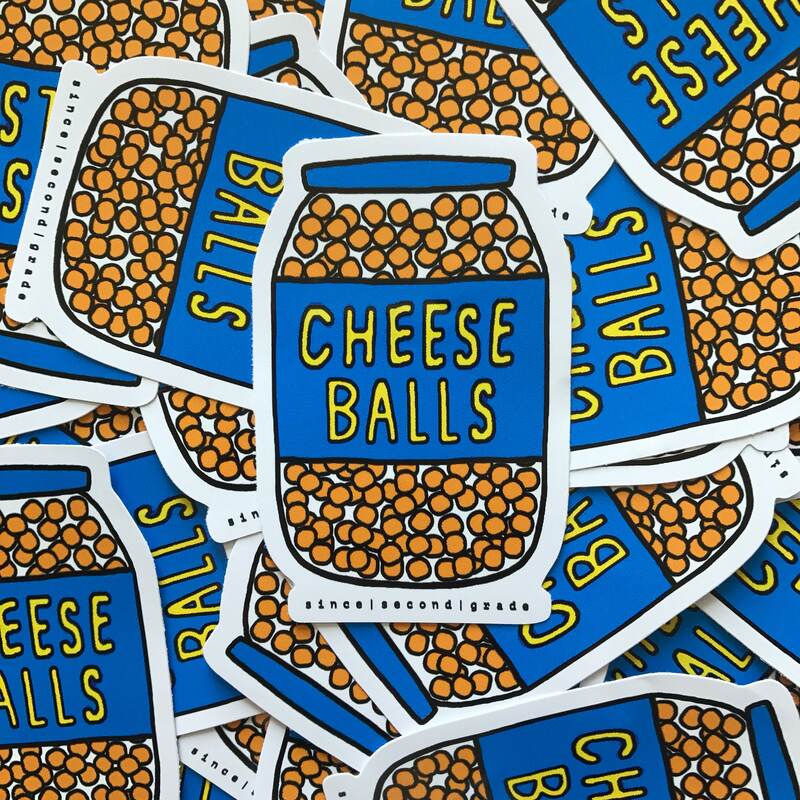 Hand illustrated Cheese Balls printed vinyl stickers. Water proof, durable, UV resistant, and for indoor or outdoor use. 10cm tall. © 2019 since second grade.